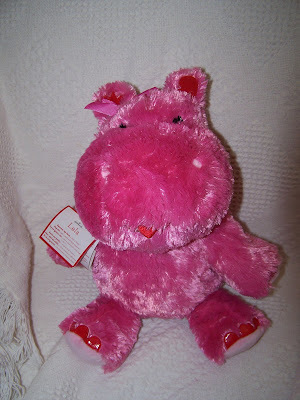 Dh gave me Lola (from Hallmark) for Valentine's Day. Isn't she cute? How cute! I got Leonardo the French speaking Cat! He's so cuddly....and a dozen roses!! Yes, she is. One of my co-workers got Lola too. We were making her talk all day long;-) I think I'll love stuffed animals no matter how old I get. Happy Valentines Day! Stephanie- Oh, roses! I love flowers. Are you an Aspiring Writer?